My training and experience as a professional dancer left me a little broken. It’s not something I like to talk about–or even think about–but I have a lot of trauma in my past regarding dance, perfectionism, and body image. In the five years or so since I abandoned my original passion, I shoved all those nasty thoughts and experiences into a corner of my brain and compartmentalized them using thick mental walls. Sure, a little would leach out once in a while, but that trauma was no longer an active pain. But, by doing that, I also never got over it. I know this because I am just starting to get over it now. And it’s all because of an essay I wrote. I joined my first writing group last fall and decided to write a funny personal essay about my life and quest for badassery through the lens of two specific hats. But, through editing, the essay became less and less funny and became more and more about my trauma with dance. It hurt to write. It felt like I was reliving one of the worst parts of my life every time I did an edit. But, finishing this essay had an unintended side effect. After not dancing for 5 years, I am actually dancing again. And enjoying it. All because I finally processed my experiences and emotions through writing. Writing is a common therapeutic tool, mainly because it is super cheap and effective. All you need are a pen, paper, and some thoughts. Plus, it has some very real therapeutic benefits. 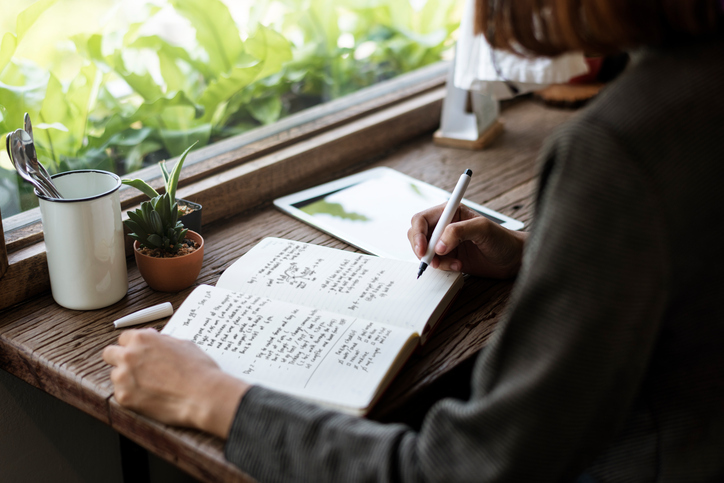 Studies have shown that writing effectively helps people overcome stressful situations, boosts the immune system in those with disease, and boosts intellectual stimulation in the mind. Looking to give it a shot? Here are a few types of therapeutic writing you can practice to deal with your daily anxieties, stresses, regrets, and joys. If you’ve ever heard anyone talking about The Artist’s Way, this is the type of writing you practice in your daily morning pages. Literally just let your mind run rampant in a long stream of consciousness. Write about what’s on your mind. Write about the past, the future, or your friend Nancy (who you are a little jealous of). Or, if you can’t think of anything, you can literally sit there and describe the items on your desk. The idea is to unload all the gunk that is jamming up your mind. 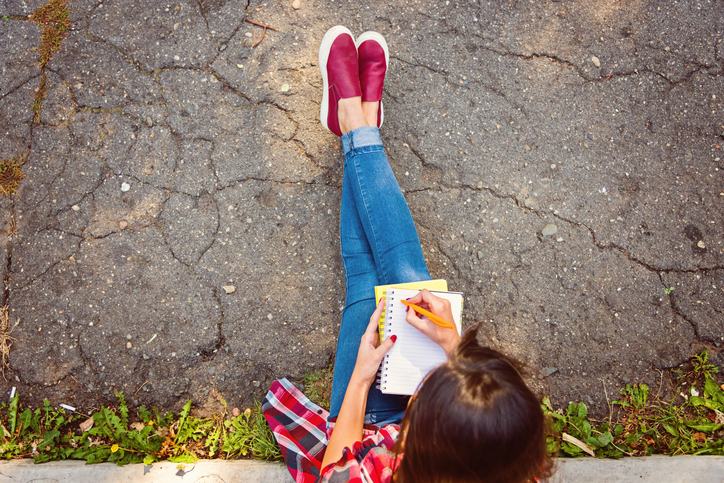 Set yourself with the goal of filling three pages full of free writing thoughts. No, the writing may not be good, and that’s the point. You’ll be surprised by how quickly your subconscious ideas, worries, and fears come to the surface. It can be a great way to get to the bottom of what is nagging at you. Expressive writing is when you sit down to actively write about an issue that is bothering you. I tend to do this naturally when I am very distraught or have no one to talk to. It’s helpful, as it allows you to take yourself out of the stressful situation and review it on paper. This makes processing these thoughts less emotionally driven and a little more objective. But be careful. It can be easy to fall into your own internal vortex of negativity and get a little lost in your thoughts. A little expressive writing can offer perspective. Too much can confirm and drive you deeper into your insecurities, if you aren’t carefully self-aware. 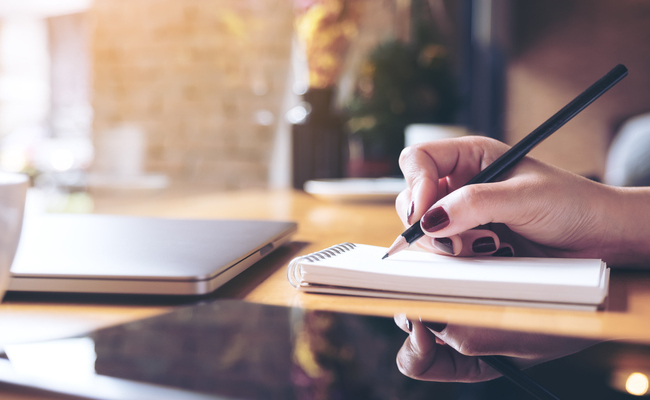 Whether you’re a poet, lover of short stories, or have an idea for the next Great American Novel, using writing as a creative outlet can be an incredible release. Just start working on a project. A lot of people don’t allow themselves an outlet for their creativity once they graduate college and become “adults”. Creativity is instrumental to a healthy mind and well-rounded life. And pretty much everyone can sit down at a desk and write. It may begin to fill that void in your eat-work-sleep life. While some people like to practice gratitude journaling, I prefer positivity journaling. Every day, sit down for five to 15 minutes and muse about all the wonderful things in your life. And yes, a lot of this will be a practice in gratitude. Gratitude for that life-giving cup of coffee on early mornings. Gratitude for your home, dog, and loved ones. Gratitude for your body and how beautiful and powerful it is in spite of how well your skinny jeans fit. Gratitude for your job, which allows you to pay the bills. But, it’s also a great place to humblebrag. Get excited about all the opportunities and wins in your life. Maybe someone complimented your outfit, or maybe you made a big sale at work, or maybe you lost those 10 pounds you’ve been trying to lose. If it is a positive thought, it goes in the journal. This is the place to stroke your ego and express just how awesome you feel (and are). Only practice letter writing if you can assure yourself of one thing: you NEVER send the letter. 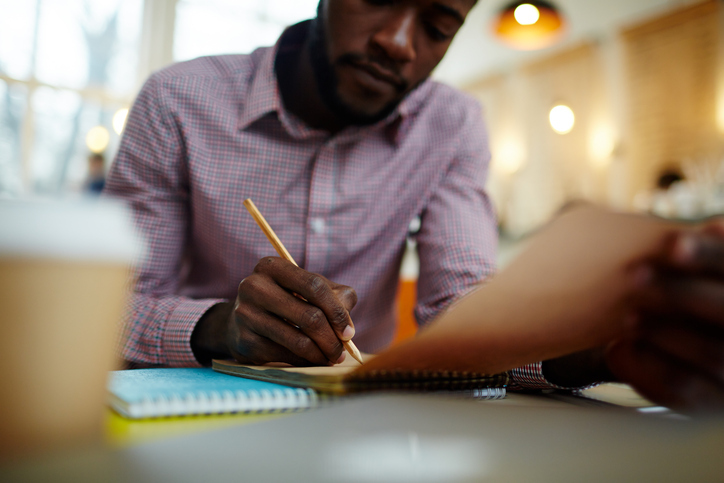 Even if you feel like you’ve made some excellent points, this letter-writing practice is a way to work out your own issues or work out how to confront others about issues. Personally, I have a hard time getting to the root of why I am upset. I’m great at compartmentalizing. But after drafting a rambling letter to myself or someone else, my reasons for feeling hurt usually become crystal clear. It’s super effective, cheap, and I can do it alone. But, I repeat, NEVER LET IT SEE THE LIGHT OF DAY. That’s a risky game, and it may end up deeply hurting someone’s feelings. Writing can be an incredible therapeutic tool. That being said, if you are dealing with a serious issue, always consult a professional for advice. While writing can help us process a lot of thoughts and emotions, it is not necessarily a replacement for actual professional support. Theraputic writing definitely works, from journaling to writing a letter to a person knowing you will never send that letter. Thanks for the article.